(German) If you use Matlabtikz and you want to create a polar plot, latex does not plot the axis. That's why i wrote this polargrid function. 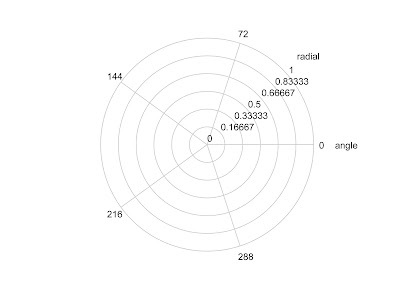 Therefor "angleticks" the amount of subdivisions of the angle, "abs" the radius, "ticks" the amunt of the subdivisions of the radial scale, "absdeg" the angle of the radialtext. "anglestr" is the text of the anglescale "absstr" is the text of the radial scale. "round1" is the amount of internal decimal places. %angleticks set the number of ticks in equidistant angles. 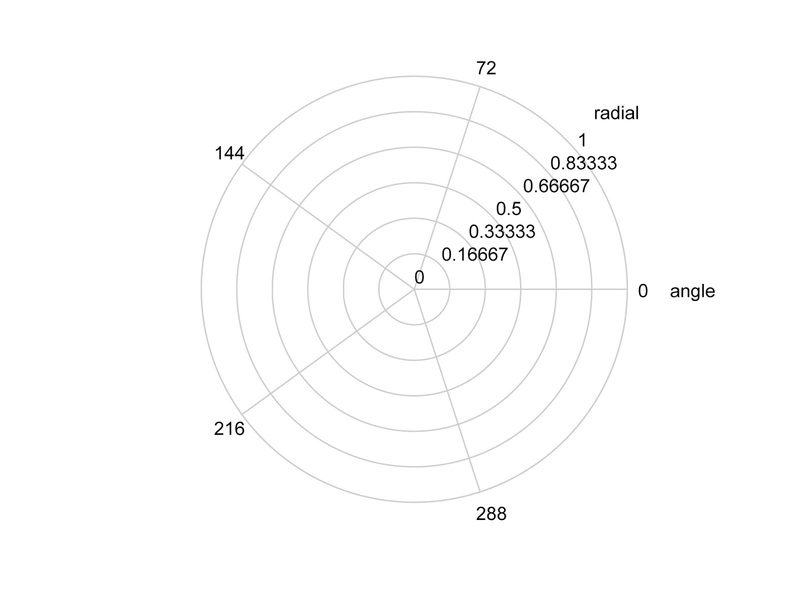 %abs set the radius of the polarplot. %ticks set the number of ticks in equidistant radialskale. %absdeg set the degree of the radialaxis. %anglestr set the labeling of the angleaxis. %absstr set the labeling of the radialaxis. %the number of positions behind the point. (German) This post is focussing on the solution of calculating a point of an ellipsoidal surface in dependency of to angles like in spherical coordinates. Mode of operation: This function calculates the closest point on an ellipsoidal surface from an point outside or inside the body in respect to its center. It needs the mesh data of the ellipsoidal body X, Y, Z and the point, where the point with direct connection to the center should be found on the surface. The output parameters are [point, phi, the] = PointOnSurfaceAnalytic(X, Y, Z, x, y, z); the surface point and the angles phi and theta of the ellipsoidal equations. It can be downloaded here. 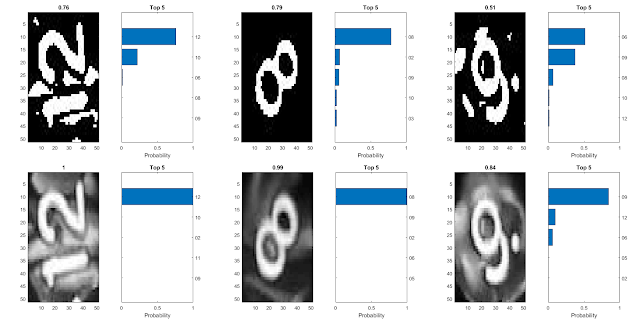 (German) This post describes a Matlab function which uses a 7 layer convolutional network for dice number identification (numbers 1-12). 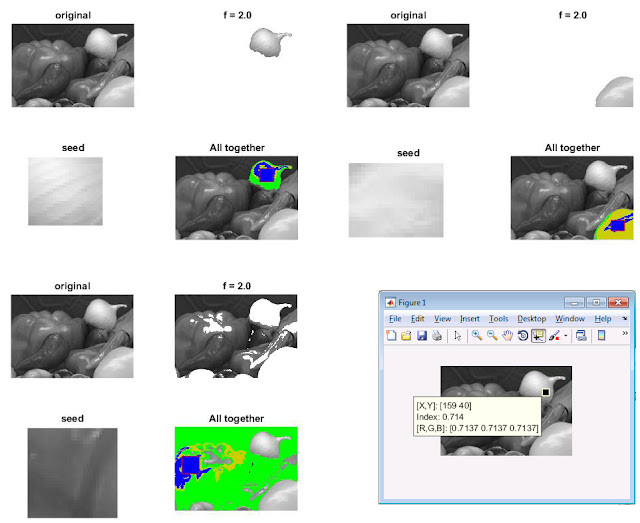 It calls for the earlier proposed image processing methode shown in this post. Segmentation Growing (German) This post is about a methode of segmentation where a region is defined (seed) . In this seed the standard deviation and the mean is calculated and with a factor f it is weigthed. Pixel which are in the neighborhood of the seed are added to the seed if their value is in the boundary defined by the standard deviation, mean value and weighting factor f. This is done iterative as long as no more pixel is added to the seed. Then the object is segmented.